For the convenience of our patients, Premier Medical Group offers many diagnostic imaging services in-house. Quality, service and patient satisfaction is Premier Medical Group’s top priority. An x-ray is a noninvasive medical test that helps physicians diagnose and treat medical conditions. It’s the oldest and most frequently used form of medical imaging, taking a picture of bones and other areas inside the body. What to expect if you’re getting an x-ray: An x-ray technologist will position your body to best achieve the desired view. While the x-ray is being taken, you will remain perfectly still so that the resulting picture is clear. There is no necessary preparation for an x-ray, and there should be no after-effects. Computed Tomography is a test that combines x-rays with computer scans. The scans appear as slices. The result is a detailed picture that gives information about internal injuries, tumors, broken bones and disease progression. 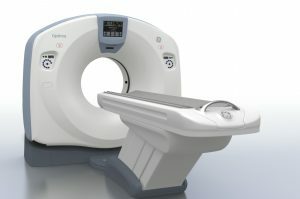 What to expect if you’re getting a CT scan: CT scanners look like a donut with a table in the middle. You will lie on the table, and it will slide into the scanner. The machine moves around the body to get the appropriate images. Most people will hear whirring noises as the machine does its work. It’s important to be very still during a CT scan. The technologist is in an adjacent room but can see and hear you always. Sometimes, it’s necessary for you to receive a contrast material before the test for the tech to get a better look. There should be no after-effects of the test or the contrast material, although you will want to drink plenty of water to flush the material out of the body. MRI uses strong magnets and radio waves that work together to form a sharp image of organs and soft tissues. What to expect if you’re having an MRI: A standard MRI machine is a tube-shaped magnet. You will lie inside the tube. The MRI uses the magnetic field and the radio waves to create cross-sectional images. A technologist monitors you from another room, and he or she can hear and talk with you through a microphone within the MRI. The procedure itself is painless, but some people with fear of confined spaces may feel uncomfortable or need medication for relaxation. The MRI will often thump and tap as it does its job. Sometimes, a contrast material may be necessary to enhance the appearance of some of the body. Unless the MRI requires sedation, there is no reason you cannot resume normal activities immediately following the test. Fluoroscopy is the study of moving body structures, such as digestive functions, in a live, movie-like sequence. It’s used to visualize internal organs while they are in motion. This is very helpful for doctors because they can see exactly how an organ is functioning. 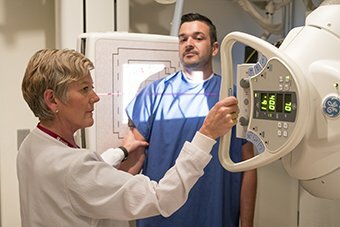 What to expect if you’re having a fluoroscopy procedure: Fluoroscopy can be used on almost every part of the body, so the methods of the test depend on what area is being examined. A contrast agent is used during fluoroscopy procedures to increase the visibility of organs or a specific area of concern. There should be no after-effects. Bone densitometry is used primarily to diagnose osteoporosis and to determine fracture risk. The procedure measures bone density in the spine, pelvis, lower arm and thigh. 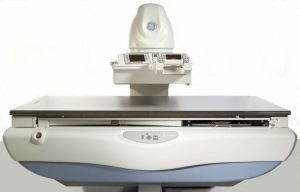 A mammogram is used to aid in the early detection and diagnosis of breast diseases in women. At Premier Medical Group, we perform digital mammography, which is the latest technology to acquire and view images obtained from a mammogram. What to expect if you’re getting a mammogram: During a mammogram, the breasts are compressed between two firm surfaces to spread out the breast tissue. 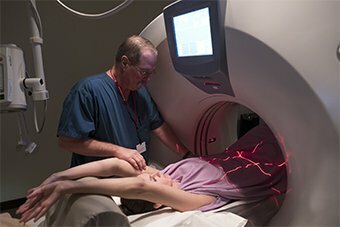 Then an X-ray captures black-and-white images of your breasts that are displayed on a computer screen and examined by a doctor who looks for signs of cancer or other abnormalities. Before the exam, your doctor may tell you to avoid lotions and deodorants on the day of your test. Ultrasound, also called sonography, involves using high-frequency sound waves to produce pictures of the inside of the body. Because ultrasound images are captured in real-time, they can show the structure and movement of the body’s internal organs, as well as blood flowing through blood vessels. Most people equate ultrasound with pregnancy, but this test can be used on almost any organ or part of the body. What to expect if you’re having an ultrasound: During an ultrasound exam, gel is applied to the skin. A sonographer will press a small, hand-held device called a transducer against the skin over the area being examined and may move it around the area to best capture the images. There should be no discomfort with this type of exam, and you should be able to resume normal activities immediately following the test.